You must make reservations at least 5 minutes in advance of the time at SOUTH Jazz Club. Street Parking Sundays, Tuesdays & Wednesdays. Street Parking or Valet for $18 per car on Thursdays, Fridays & Saturdays. 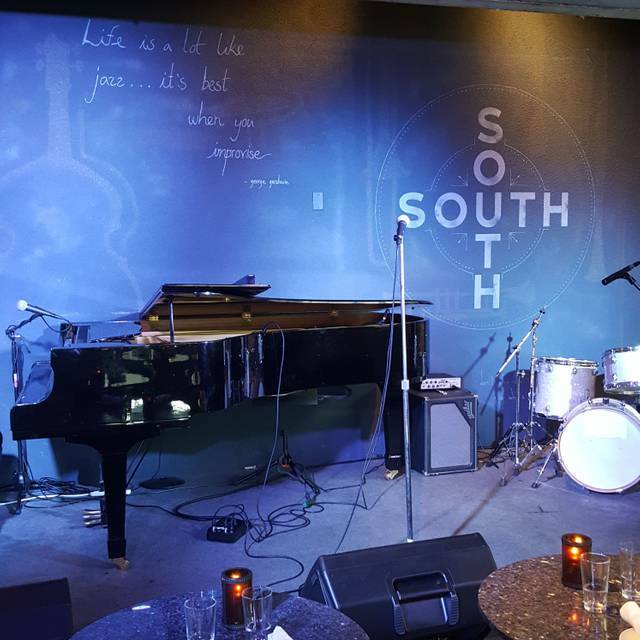 The Jazz Parlor at SOUTH is center stage for exciting performances featuring local and national jazz acts six nights a week! Doors open at 6:00PM. Please check our Jazz page for a full schedule and details with regards to showtimes, pricing and ticket purchase. Some events are ticketed - a ticket guarantees a seat in the Jazz Club for the show, therefore reservations are not necessary. The Club opens at 6pm, and seating is on a first come, first serve basis, so guests are encouraged to come as early as possible to get preferred seating. When seated, guests have the option to choose from any of our menus. This was a venue of choice for the Leon H. Sullivan Charitable Trust. At least four (4) guests were disappointed in the crab omelet, which was to include crab and shrimp. 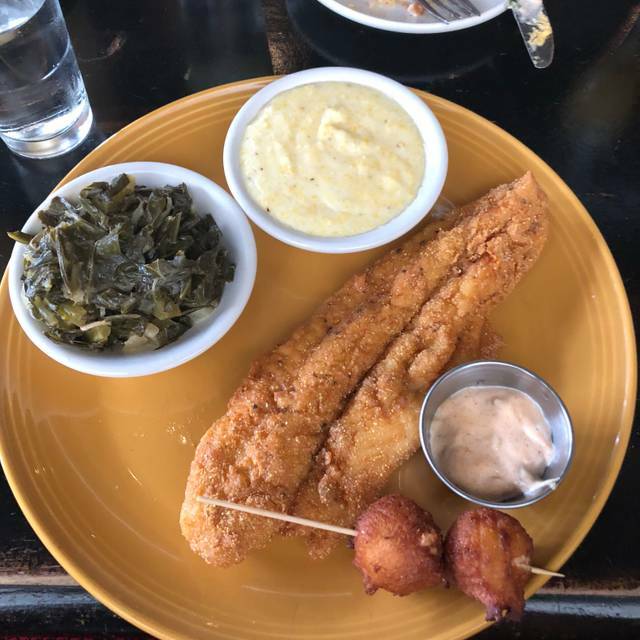 There was no seafood at all. they are unprofessional and lack follow up.skills. we had a reservation for the jazz club and was told we need to get tickets for the show. long story short ticketed are sold out and those to with tickets dont have reservations for dinner. Management tells you.they are going to get back to you becuase it's a problem with their system...they dont follow through ...we contact them for 3 straight days and no follow up from management . typical .we decided to spend our money elsewhere..and plan to share our experience with everyone we know.about this business. that really doesn't give a damn. We arrived at 6:30 for our 6:30 reservation and were then told that reservations had all been cancelled because the jazz show was a ticketed event, and the show was sold out. They said they called everyone TODAY to tell them their reservation was cancelled, except I never got a call. They said they couldn't call me because they didnt have my number even though my number is saved in my Open Table account. They made no attempt to accommodate us other than to say "you can try to find a table in the lounge if you can". I have no problems with requiring tickets for a jazz show, but if that's the case then disable reservations for that night. And on top of that, you shouldn't wait until the day of the reservation to tell every single person with a reservation that they no longer have one. I made this reservation two months ago, so there was plenty of time to tell me it was cancelled and give me a chance to make reservations elsewhere or buy tickets to the show. Instead, I had to rush to find somewhere else to eat at 6:30 on a Saturday. I understand that the jazz club aspect of the restaurant can create situations like this, but it was handled horribly. Not sure if you guys were short staff but my experience that day at your restaurant was absolutely horrible. Not only did we wait over an hour for our food, when our food arrived, it was cold. Our waitress never once asked if we were okay and did we need anything. Worse experience ever. We went with friends for Sunday brunch. Food was great, service very slow, music was fine. Unfortunately our table wasn’t available for 15mins after our table reservation, which was already a late lunch at 1:30. And it was an hour before our lunch arrived. There was no music charge for Sunday brunch, which we were expecting, but we would have preferred a charge and a proper music set. It was really lacking energy and was very much a background noise. I would return again as there has to be a better evening vibe. The restaurant space itself, was way nicer than the Jazz parlor. Everything went well for my Mother's birthday celebration however a couple of my guests experienced longer wait times for their food and were a little disgruntled. Other than that food, drink, music and ambiance were great! Loved the Hilton Head drink too btw. It was my friends birthday and we had dinner and listened to the Jazz band and it was one of the best experiences I’ve had. The music was exceptional, the people were very pleasant. Our server Stephanie was very nice and efficient. It was absolutely wonderful, looking forward to going again. 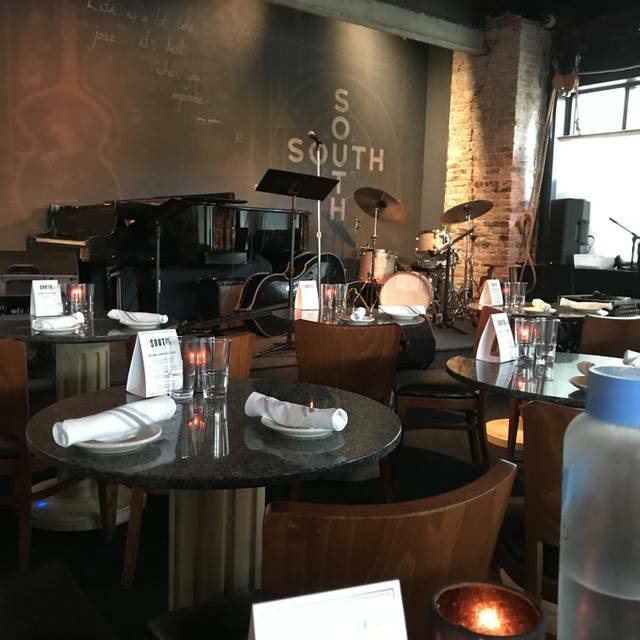 Totally enjoyed my evening at The South Jazz Club. The staff was courteous, helpful and accommodating. The food, service and ambiance were great. And the music was outstanding. The food and drink were great! We booked in the Jazz Parlour. We thoroughly enjoyed Chantae Cann and her band! A beautiful experience overall! This was my first time to South jazz club and it will not be my last. The food and ambiance was excellent. I even enjoyed the band. I was so excited because I actually got the table I wanted. It was the booth right in the back with a view of the whole stage. I cant wait to come back and try the shrimp and grits. Beautiful elegant place, good music. Excellent food quality. Mishap with food service. Entree arrived before appetizers. Handled very professionally by manager. Went for Wednesday prix fixe, excellent value! Will return again and again!! Love it! Live Jazz for brunch? Can’t beat that. Food was excellent too. I will be back with friends and family. South is a unique spot in Philly. 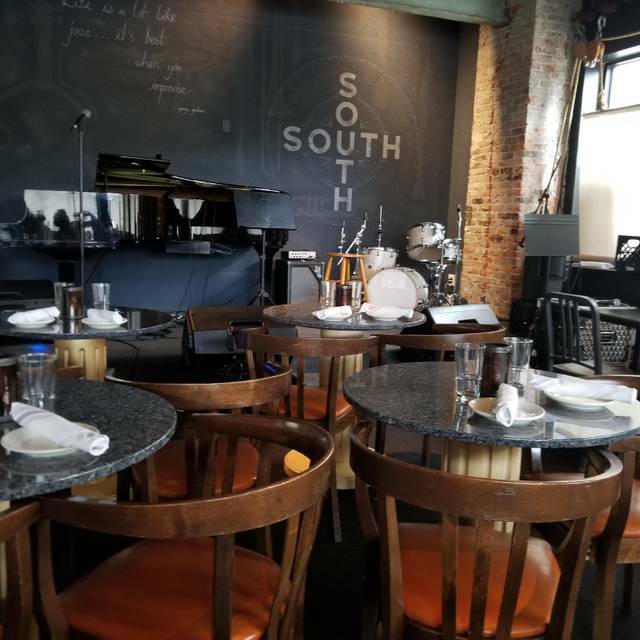 South is a nice atmosphere with some quirks that definitely rob you of the experience. If you plan to attend the show, be careful of buying the tix too far in advance. YOU WILL NOT GET A REFUND OR CREDIT for unused tickets. 2 couples did not show up and we were out of $80 with no compassion or compromise. Also, the entrance gets very crowded making egress/ingress difficult and less than charming. This overcrowded area gives it a less than sophisticated feel. In addition the bathrooms are really dirty. On a more positive note, the food is phenomenal, as are the libations. The only drawback, is service is extremely slow. Don't go there starved, because it will be awhile before you get your meal. Another highlight is the show. The artists are fantastic! 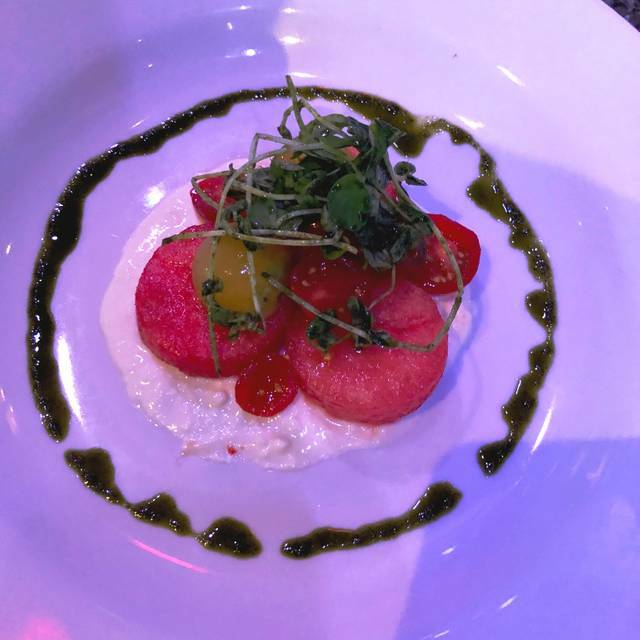 Excellent all around - ambiance, music and New Orleans theme pre-fixed menu! We left so very full and satisfied! The Jazz was fantastic, the food was great. The service wasn’t very attentive but polite when present. We celebrated our anniversary here. The food was cooked to perfection. The service was great except for a mistake in the bill. 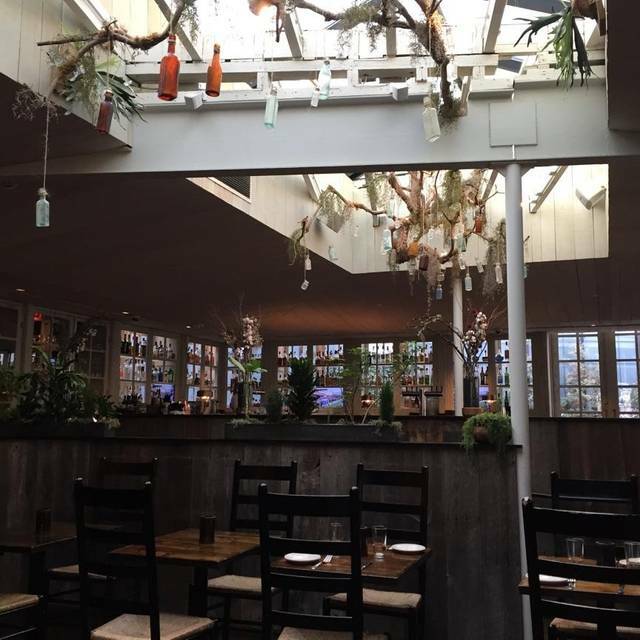 I went here for a date night and it was a perfect experience! I will definitely be back! Never again. 630 reservation. By 735 we had no cocktails or food so we left. i think there should've been at least 2 waitresses(taking orders) attending the dinning room. Although the waitress was very nice, it seemed as if she wasn't aware of the customer needs. Meaning, after she took my drink order it took a very long time for her to come back with it. It also took her some time to come back to remove my dishes, never asked if I wanted dessert or if I wanted anything else. Also took some time for her to bring the check. Overall a good experience and the service is usually a lot better. Loved it! Had to wait a few minutes for a table, even though we had a reservation, but we had a drink at the bar while we waited. Once we were seated in the jazz parlor we had to wait quite awhile for a waitress to address us, but she was attentive once she was there. 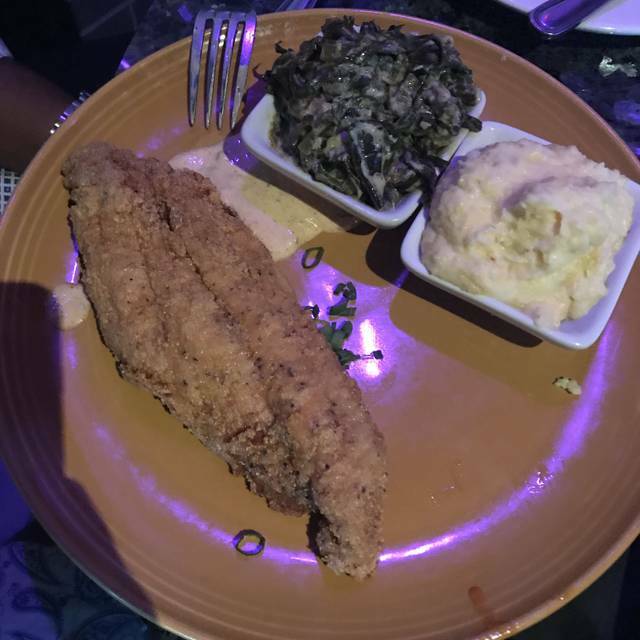 The food was excellent, probably the best fried chicken I've ever had! I loved the music and have already recommended to several friends. Excellent restaurant. Food and service were great. The music was on point!!! Awesome place! Great food and great venue for music. Great brunch experience with live jazz, exactly what we were looking for before the auto show in philly! We made a reservation for the Jazz parlor to enjoy the show. We arrived 10 minutes early for our 8:45 pm reservation. When we checked in the hostess said we were 7th on the list to be seated and that she would find us when it was time to start seating guest in the parlor. We started seeing other people being sat so we patiently waited for our turn. After a while we asked the hostess where we stood in our turn to be sat. She stated that she looked for us but couldn’t find us. So we got passed by. By the time we stopped the hostess they were on guest 14 on the list. They never even said the name of our party because we stood by the door of the restaurant the entire time. Once we were to be sat they gave us seats in the back of the parlor and told us that the tables closer to the stage or with a better view of the stage were reserved for a larger party. We eventually spoke with someone else and were able to get better seats. I strongly believe that you all should come up with a better system with seating guest in the parlor. This was our first experience at this establishment and it got off to a horrible start. The food and the performance however made up for our disappointment. This place I awesome from all aspects of the experience and the music is World Class. Loved every aspect of this restaurant. The live music complemented the menu, the chefs were amazing especially Chef Kurt, who went the extra mike to explain the dish wish brough comfort to the selections. Every host and hostess showed amazing hospitality which values a must return for me. The food was amazing! The music was perfect which set off a perfect Birthday night to remember! For my first time there it was a nice experience overall. I wanted a particur item on the menu, which was not available. It wasn’t a big deal but if you can’t provide a particular meal I think it should have been removed from menu or at the least notified prior to placing orders. We arrived and I was told there was a limited menu although I was called by the restaurant twice to confirm my reservation. It would have been nice to know that before arriving. Better than Ms. Tootsies! The Jazz Club is amazing and full of talented musicians. You really get the feel of a Jazz Club with the seating arrangement. The only thing I must say is that the room was pretty cold and seating was pretty tight. 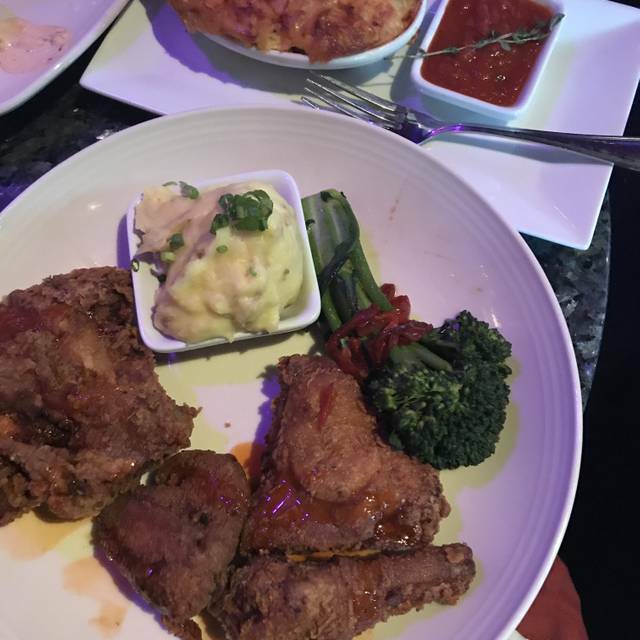 The service was great and the food was so flavorful. Next time I’ll sit in the restaurant part. Service was fast and elegant. I will definitely be back because the food was great.